Sunday, Composer Focus Concerts, a monthly series at the Lilypad in Cambridge, turns its attention to music by Russian composer Alfred Schnittke (1934-98), including Schnittke’s 1978 violin-and-piano version of the familiar carol “Stille Nacht.” The arrangement is hardly orthodox: The violin’s simple, double-stop-harmonized rendition veers into abrasive wrong notes, the piano layers in a deep, distant, dissonantly tolling bell, the duo ticks through the remaining verses like damaged clockwork. Though only a miniature — Schnittke wrote it as a Christmas card for violinist Gidon Kremer — it epitomizes Schnittke’s most prevalent manner: mixing old and new into an intuitively biting stylistic bait-and-switch. Schnittke’s polyvalent style coalesced in the late ’60s and early ’70s. His musical straight man was, frequently, Viennese classicism: Haydn, Mozart. (Schnittke’s journalist father was stationed with the Soviet Army in Vienna after World War II; that musical culture became Schnittke’s touchstone.) But those age-old cues, whether allusions, pastiches, or outright quotations, were subjected to Schnittke’s imaginative musical graffiti: 20th-century modernist tropes transformed into a saboteur’s toolbox. Much of it, certainly, was Schnittke’s way of implicitly protesting the privations of Soviet life, and a power structure that often targeted Schnittke and his increasing celebrity. 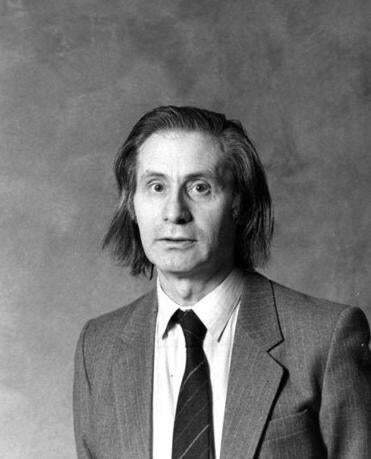 (This writer once saw the late Ukrainian-born pianist Alexander Slobodyanik deftly characterize Schnittke’s aesthetic by extending his middle finger while casually sliding his hand into his pocket.) But the satire and serious inquiry were thoroughly mixed. Schnittke was, perhaps, interrogating how routines — bureaucratic, political, musical — exert control, and he was pushing back. Comedy and horror, it is often said, are flip sides of the same coin; Schnittke’s horror was surrendering one’s soul to an imposed conformity. We laugh at his provocations because they make us anxious, the way they disrupt expectations comfortably met: a reminder that the desire for comfort can be as insidious as any threat. As Christmas, that most insistently traditional of holidays, bears down, Schnittke’s acidic take on that silent night serves as a warning of how traditions endanger even as they elevate. Composer Focus Concerts presents music of Alfred Schnittke, Dec. 21 at 7 p.m., at the Lilypad, 1353 Cambridge St., Cambridge. Tickets $10.